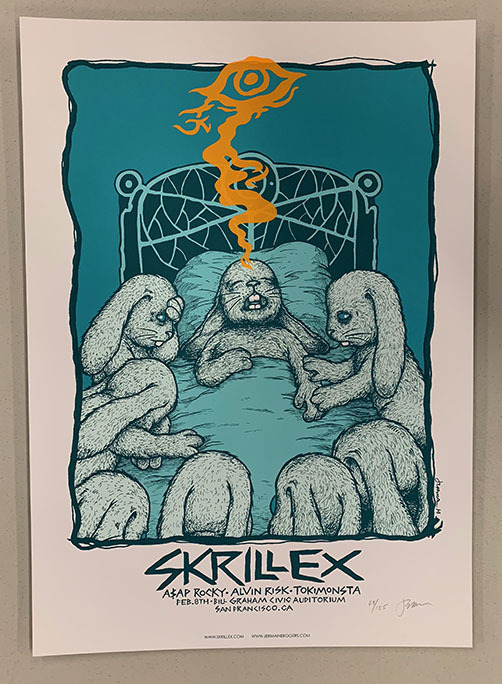 Original silkscreen concert poster for Skrillex at Bill Graham Civic Auditorium in San Diego, CA in 2014. 17 x 24 inches. 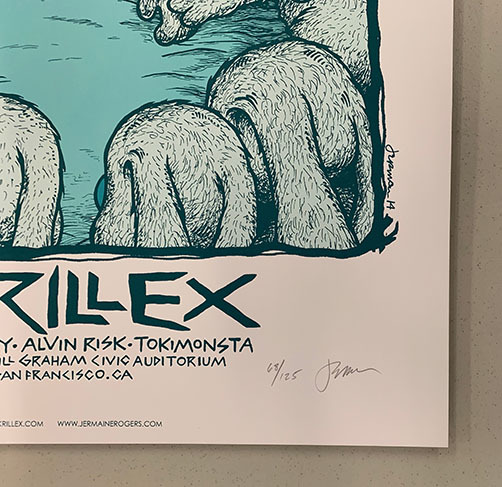 Signed 68/125 by the artist Jermaine Rogers.